Last night we got a call from someone wanting to turn in an iguana. He said the people that owned him moved and didn’t want him anymore so this guy took the iguana in. He tried his best for a few months but was unable to take care of him. This is Steve. He is probably about 3-4 years old based on his size and maturity. I do believe is a male due to the larger femoral pores under his legs; although, he has not developed any jowls or head fat pads yet. This is Steve’s jaw, and most likely why he has stopped eating. This could be an infection or it could be metabolic bone disease. He is with the wonderful doctors at Paws and Claws Animal Hospital today so they can see what to do for him. Due to his age and that we know for a fact he was not provided with a UVB light for at least the last 4 months, it is very possible it could turn out to be MBD. 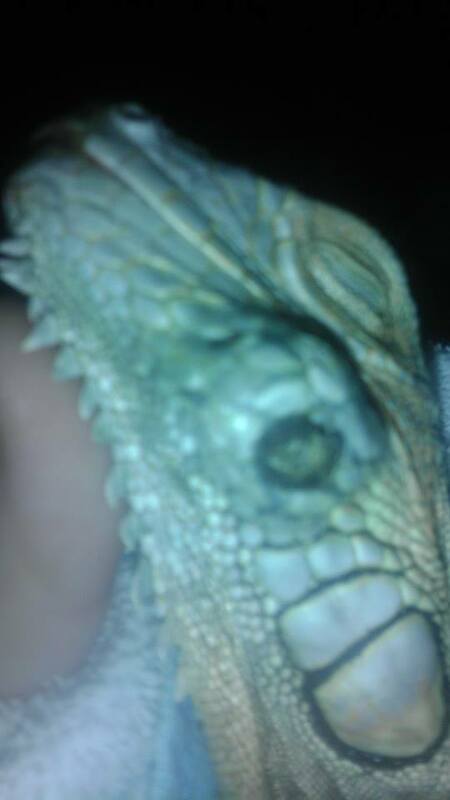 Metabolic bone disease is a disease that reptiles of all kinds can get and way too many pet iguanas end up with. It is a calcium deficiency that is basically the reptile version of rickets. The most common ways to get the disease is improper diet (not enough calcium), improper or no exposure to UVB lighting, or not enough heat. Metabolic bone disease is treatable thankfully, if it is caught in time. Read more about MBD at http://www.greenigsociety.org/mbd.htm. 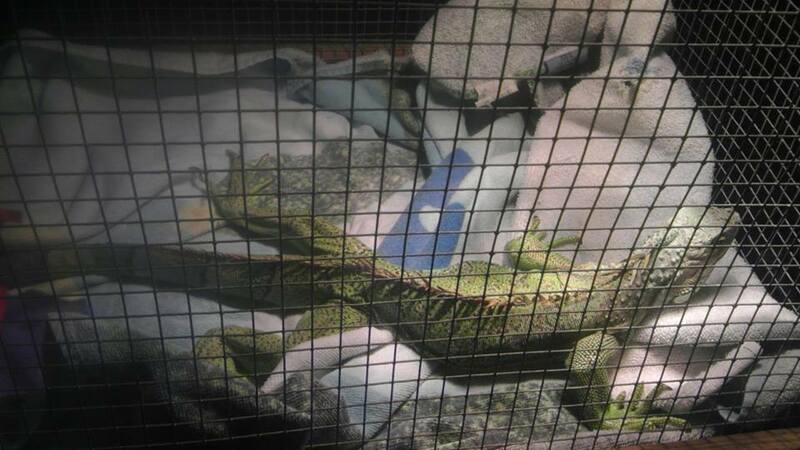 This iguana is the reason we do this blog…for the education of owners in how to properly care for their pet.